"Modern. Beautiful. Modular." That's the motto of Honomobo, a company that designs and builds modular homes. 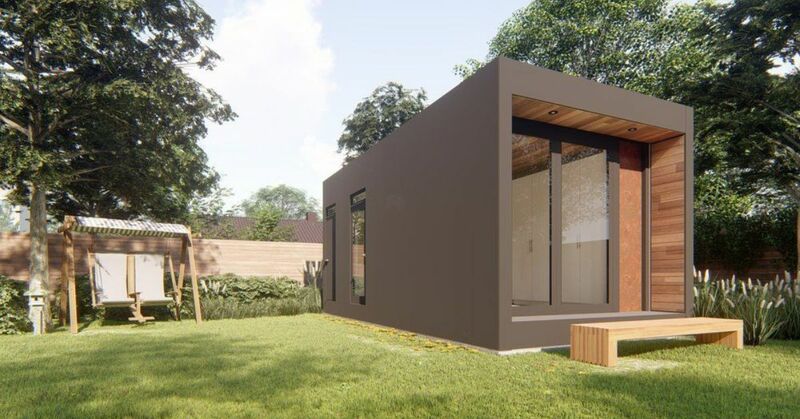 Some use shipping containers as a framework and others, such as this Mstudio, do not. The company is known for incorporating modern clean lines and authentic materials. 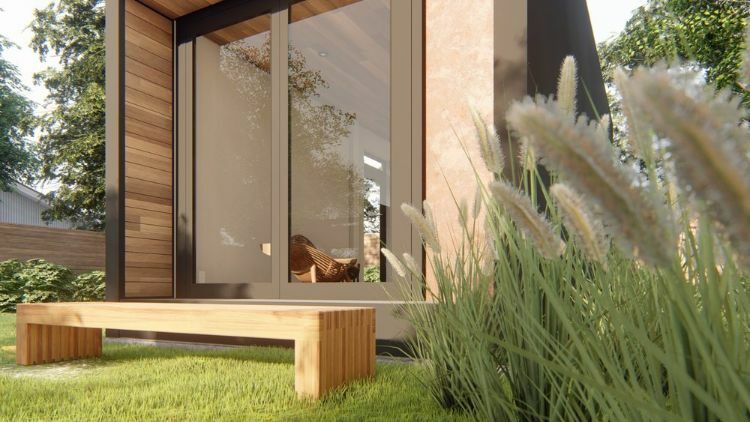 This modular home is crafted from a rigid steel frame for extreme durability, and all homes run fully on electricity. Honomobo's sustainable ethos employs a strict quality control program that ensures less waste than typical construction. The Mstudio is a one-piece, 273-square-foot space crafted from a steel frame. The design uses every square inch to maximize potential and efficiency. Plus, all Honomobo homes are equipped with solar technology so residents can produce their own power and even contribute to the grid's power. 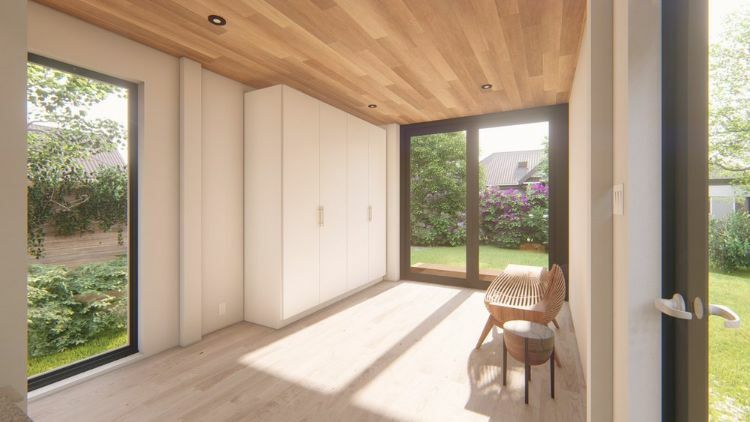 Inside, an open floor plan offers an expansive living area with a built-in closet space, full-length windows and hardwood flooring and ceilings. A private bathroom is spacious enough thanks to being more than 7 feet by almost 6 feet. 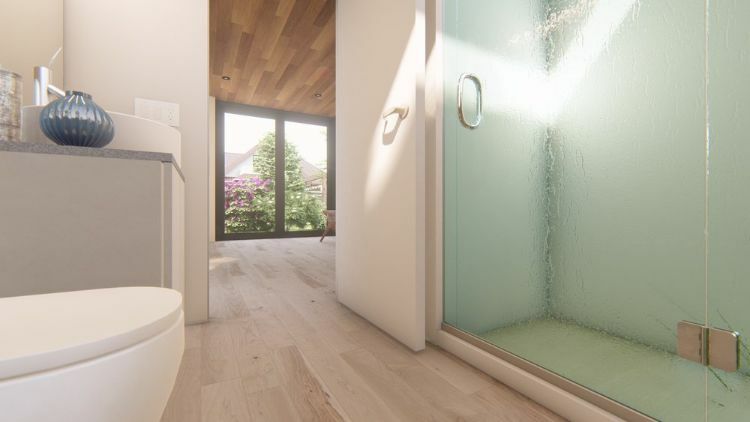 Modern fixtures such as a glass shower door and countertop vessel sink complement the home's contemporary aesthetic. 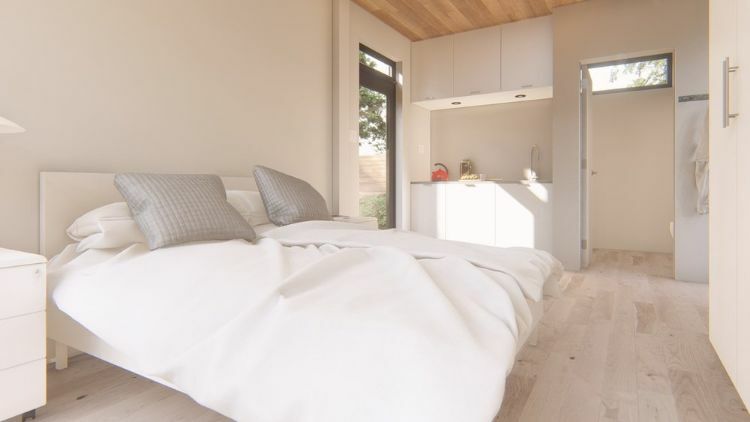 The sleeping area can accommodate a queen-sized bed, across from an optional built-in closet. 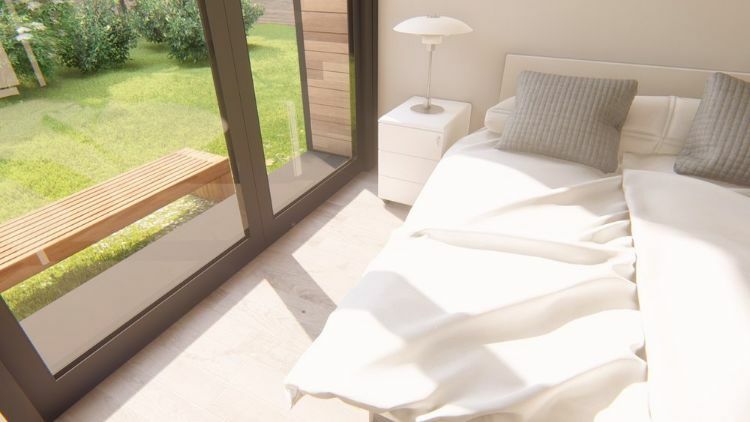 Full-length windows on both sides allow residents to fall asleep to the stars and wake up to the sun. 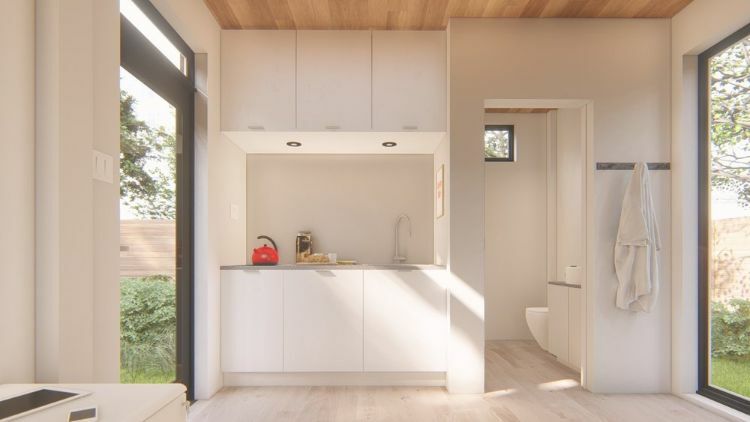 The small kitchen is compact but efficient, containing a stovetop, large basin sink and ample cabinet storage below and overhead. Minimal hardware complements the understated aesthetic.